Watch his interview on Thursday on “GMA” at 7 a.m. ET. Musician and actor Jussie Smollett spoke to ABC News' Robin Roberts in his first interview since being viciously attacked on Jan. 29 in what is being investigated as a possible hate crime. 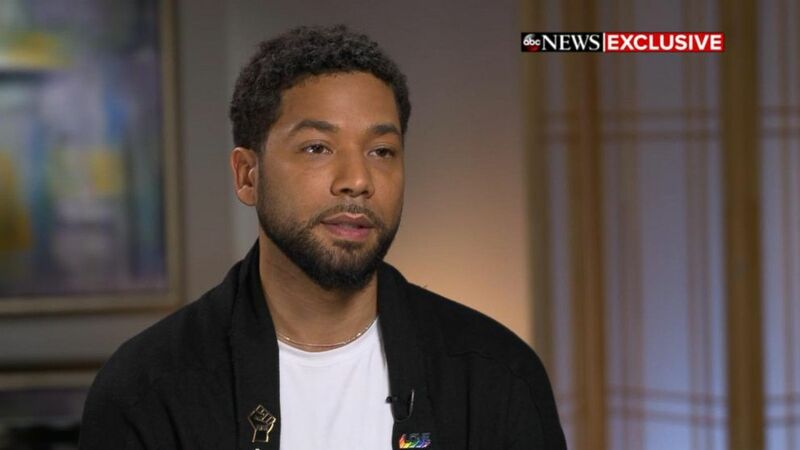 In a clip that ran ahead of the "Good Morning America" interview Thursday morning, Smollett revealed that he is "pissed off." The 36-year-old, who portrays a gay musician on Fox's "Empire," addressed rumors and criticism that he might not be telling the truth. "What is it that has you so angry? Is it the...attackers," Roberts asked. "Attackers, but it's also the attacks," Smollett responded. "It's like, you know, at first, it was a thing of, like, 'Listen, if I tell the truth then that's it, 'cause it's the truth." Then it became a thing of like, 'Oh, how can you doubt that? Like, how do you-- how do you not believe that? It's the truth.'" "And then it became a thing of like, 'Oh, it's not necessarily that you don't believe that this is the truth, you don't even want to see the truth,'" he added. Watch the exclusive interview on "Good Morning America" Thursday at 7 a.m. ET. 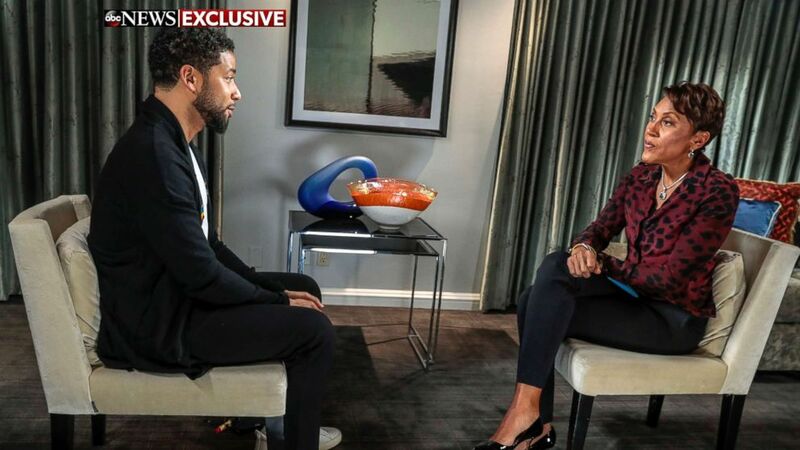 (ABC News) Jussie Smollett speaks with ABC News' Robin Roberts, Feb. 13, 2019. Smollett performed at the Troubadour in West Hollywood, California. The "Empire" said he was brutally attacked in a possible hate crime last week. Smollett says he was approached by two attackers at around 2 a.m. on Jan. 29, and that they verbally abused him with alleged racial and homophobic slurs before they beat him "about the face with their hands," according to the police report. "The primary aggressor was wearing a black mask concealing any facial features and both offenders were dressed in black," the report said. "The victim does not remember any other distinguishing features of the offenders, or in which direction they fled." The attackers' identities are still unknown. After scouring through surveillance video, police were able to capture an image of two people who authorities are calling "potential persons of interest." Smollett told Roberts that he has seen that image, and he believes that the people in it could possibly be his attackers. When asked why he thinks these are his attackers, Smollett responded, "Cause ... I was there." "For me, when that was released, I was like, 'Okay. We're getting somewhere,' you know what I'm saying?" he added. "I don't have any doubt in my mind that that's them. Never did." Smollett has mostly stayed out of the spotlight since the horrific incident, performing only once at the Troubadour in Los Angeles on Feb. 2. "I'm not fully healed yet...but I'm going to be, and I'm gonna stand strong with y'all," he told the crowd. "I had to be here tonight, y'all. I couldn't let those [expletive] win," he added. "Regardless of what anyone else says, I will only stand for love and I hope that you all stand with me."